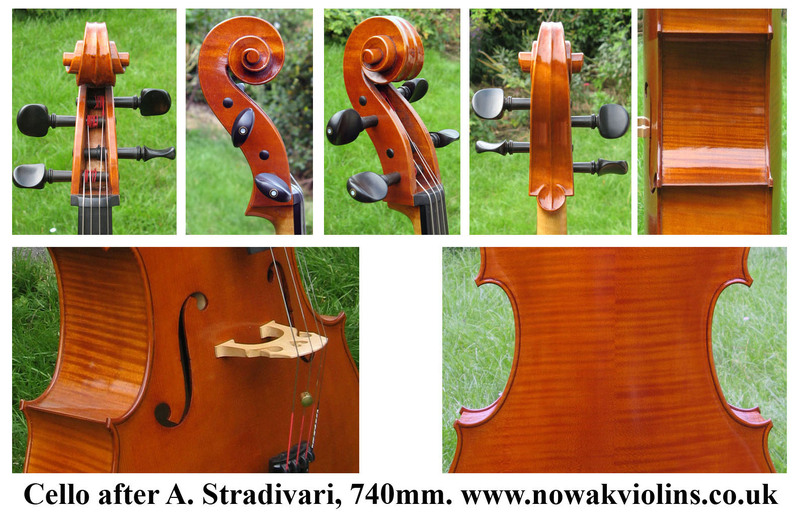 My personal version of a smaller Stradivari style cello. 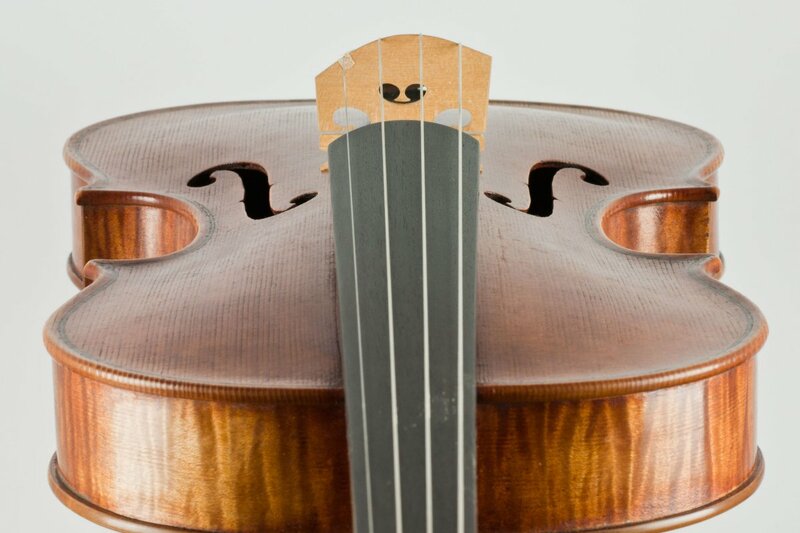 The original Stradivari 'Forma B' was the blue print for his many golden period Celli. By subtly redrawing his original outline and a body length of 740mm and a 680mm string length (as found in many old English Celli) it's a very comfortable cello to play without compromising on performance. 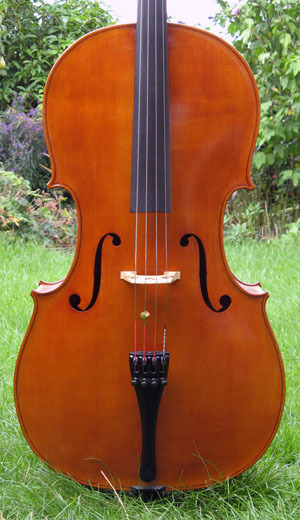 The seasoned tonewoods utilized are Italian Dolomite spruce for the front, and the back and ribs well figured Bosnian maple cut on the quarter. 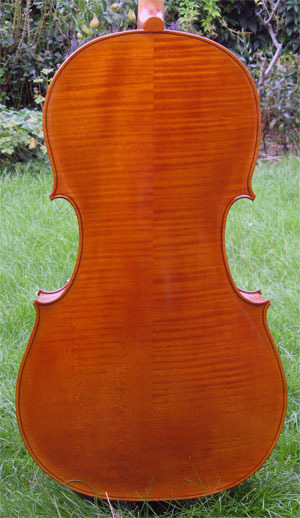 The transparent and non antiqued oil varnish a warm red brown colour. 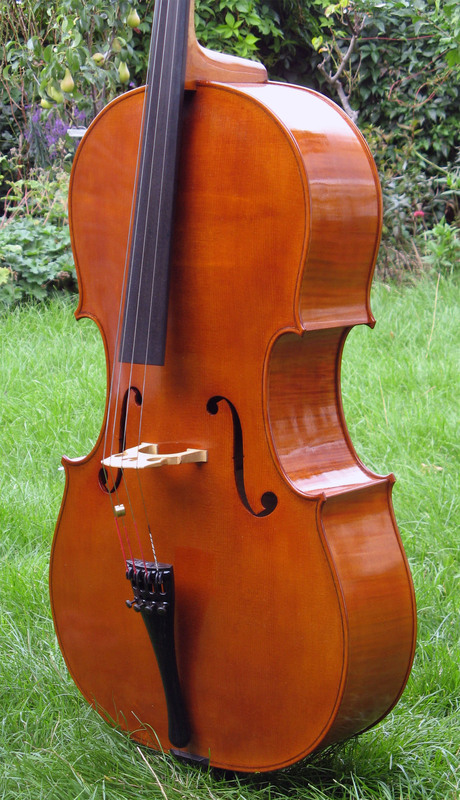 Its' sound is evenly balanced, responsive and powerful. Recent sound trials have impressed. 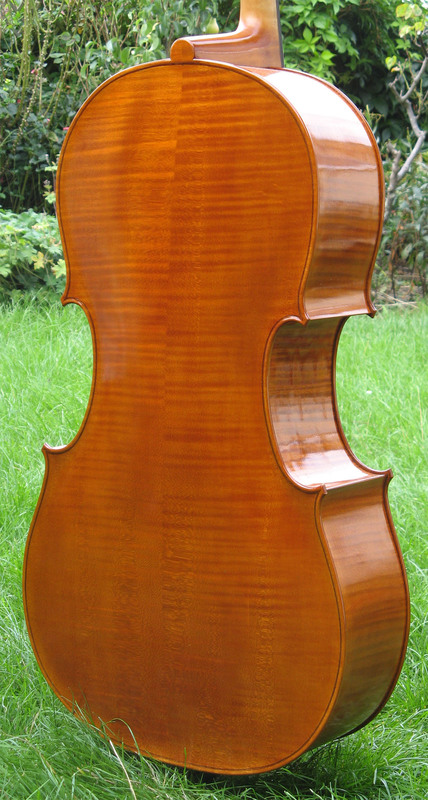 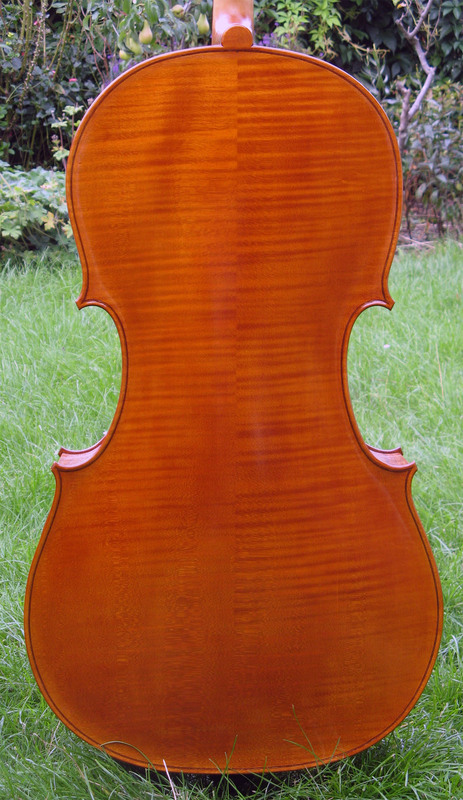 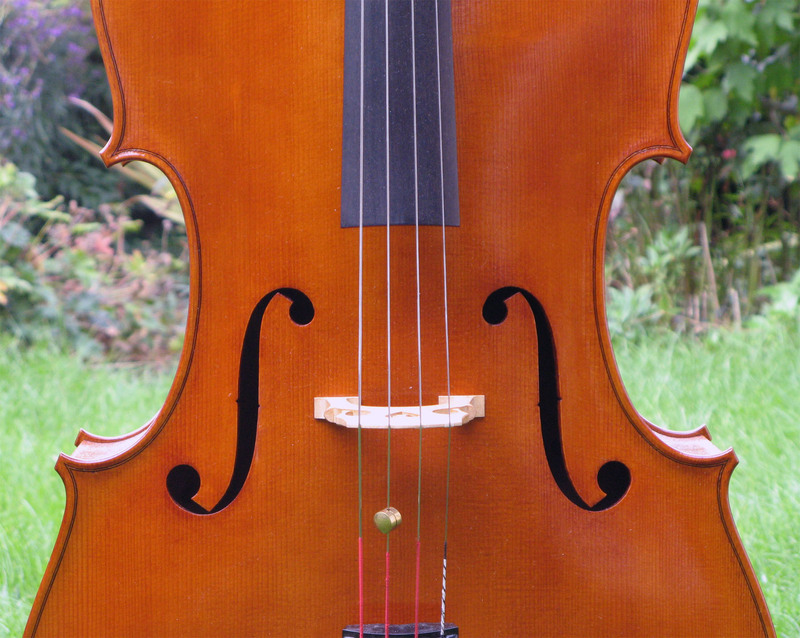 My 2007 cello making 'blog' can be seen here and the original design of the small 740mm cello here.